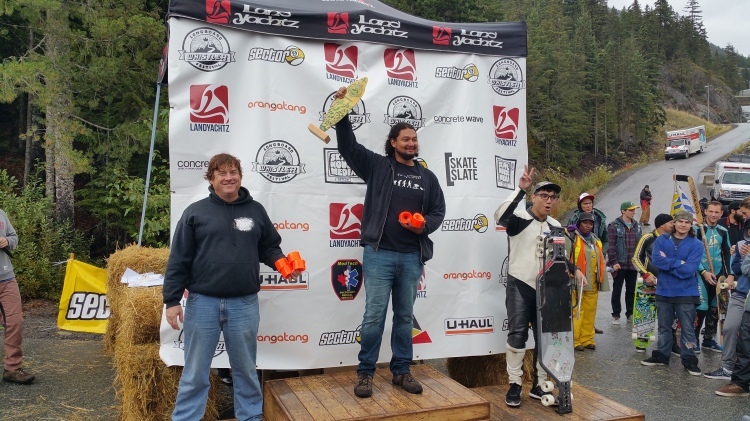 The Whistler Longboard Festival threw up all sorts of surprises, but the man from Vancouver they call Troy "Yardwaste" Grenier, had a slick ride from start to finish and took the crown from Alex Hannigan and Brendan Davidson. 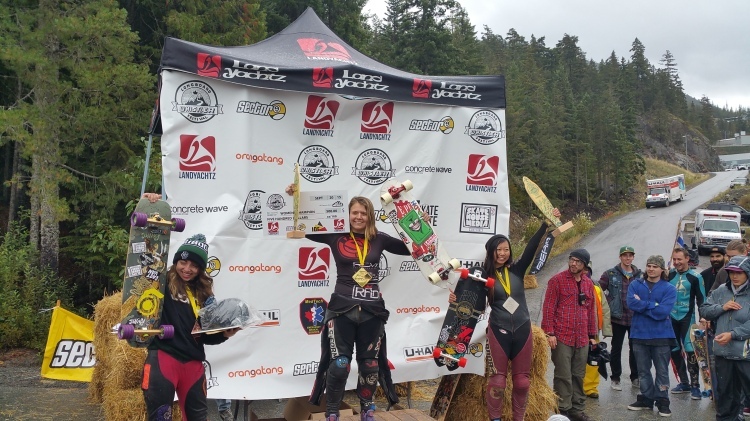 In the women's category, emerging superstar, Emily Pross showed the crowd the wet and wild conditions would not hold her back by taking the trophy and avenging last week's disappointment in commanding fashion from Californian, Caitlin Yong, with Marcela "Chela" Girado, taking third. The Juniors category was a re-run of last week's final, with Alex Charleson, making it a double in North America. The speed of the Vancouver local in the wet conditions, was simply too much for Australian Tyron Knight, who took second from Charlie McMillan in third. In street luge, Frank Williams showed his class by claiming all 3 races to romp into first place, from Darius Escander. Veteran Chris McBride took another podium to add to his war chest by taking third place . The Classic luge threw up the surprise of the day with New Zealander Api Ihaia winning all his races and claiming top spot from Frank Williams, with Chris McBride again rounding out the podium in third. 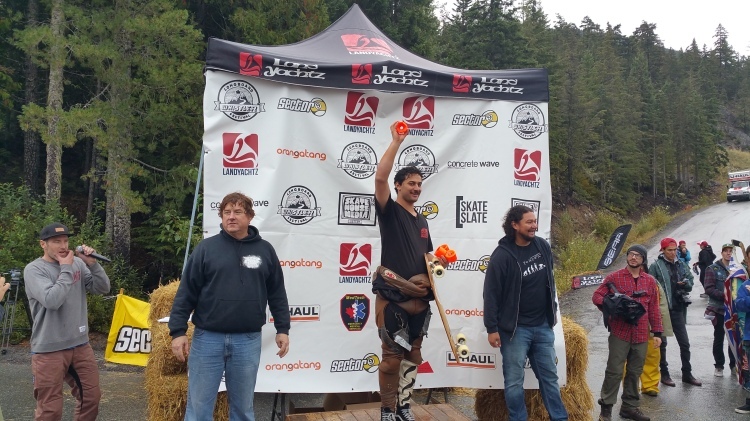 In tough conditions that laid down 3 days of wet racing the Whistler Longboard Festival seemed to shine through. Sector 9 sponsored the initial freeride day that had most competitors grinning from ear to ear despite the conditions. 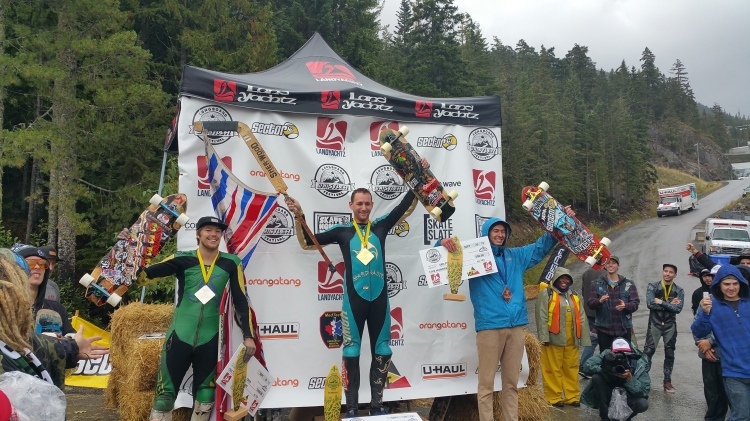 Landyachtz Longboards presented the World Cup event in true BC weather but despite the wet, riders moved through a 16 run qualifying day. The unbelievable help of the track staff kept the event running super smoothly with clean run after clean run. With another event under the Unkle belt we look forward as every rider does to the next season of world class Canadian events where the rest of the world test its metal in a battle with the best of Canada.